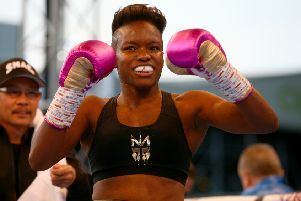 Leeds boxer Nicola Adams will challenge the WBO world flyweight champion Arely Mucino at London’s Royal Albert Hall on March 8. Double Olympic gold medallist Adams won the interim title in October against Mexico’s Isabel Millan and next fights Mucino in her attempt to become a world champion in her sixth professional fight. Adams, 36, who made her professional debut in March 2017, said of the fight: “Winning a world title is what I got into professional boxing for and I believe it is my destiny to do so and ultimately unify the flyweight division. “To get this opportunity after just five professional fights is an achievement in itself and I am so thankful to my promotional team for making it happen. Also on March 8, promising heavyweight Daniel Dubois, 21, will fight Romania’s Razvan Cojanu, and Wales’ Liam Williams will defend his British middleweight title against Joe Mullender.